Recently I’ve made a discovery. 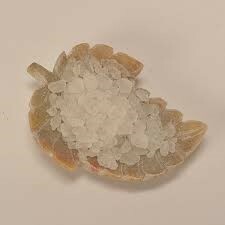 My Granny used to go on about how all of these modern cleaning fluids and chemicals were a waste of time and money when all that you really need is a nice big bag of soda crystals. I’d heard this for a while with many home cleaning experts going on about how powerful and amazing, they are at getting stains out of clothes and upholstery to even cleaning and maintaining drains. Duly impressed I took the plunge and bought some to try them out. Having a family, you can imagine that plugholes are regularly blocked or slow flowing so even if they sort that out, I’d be happy. It is one of the reasons why I always have Plumbers Forest of Dean company http://greenplanetheating.org/ on speed dial. The first thing that impressed me is they were incredibly cheap. It was only £2 for large bag that was way cheaper than some of the cleaning detergents on offer. The other thing that impressed me was the fact they were natural and not cooked up in some large corporations chemical factory. The effect on my hands was going to be very noticeable. I started by putting some in the washing machine and running a hot wash. They can get rid of lime scale and those nasty claggy bits of washing powder, much cheaper than the stuff on the market. I then made up a strong solution in some nice hot water to soak some clothes that were beyond hope in terms of the stains, trust my kids school to have white tops! I once the machine cycle was done I put them all in and added some crystals to the powder as well. They’ve never looked so clean. I then moved on to the drains. I put a cup down each sink and let the stuff do its work swilling it away with some hot water later in the day. If you do this every week then you shouldn’t have any trouble and I’ve not noticed any complaints that the water isn’t going away. The best thing I found was that they also clean off patios and pathways in the garden. 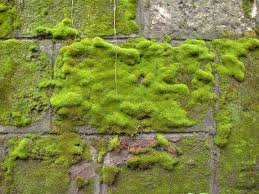 We’ve got a massive problem with moss on the front of my walls so I told that if you sprinkle it over the offend growth and dampen it then the moss will die and you can just brush it off. What a really great find.